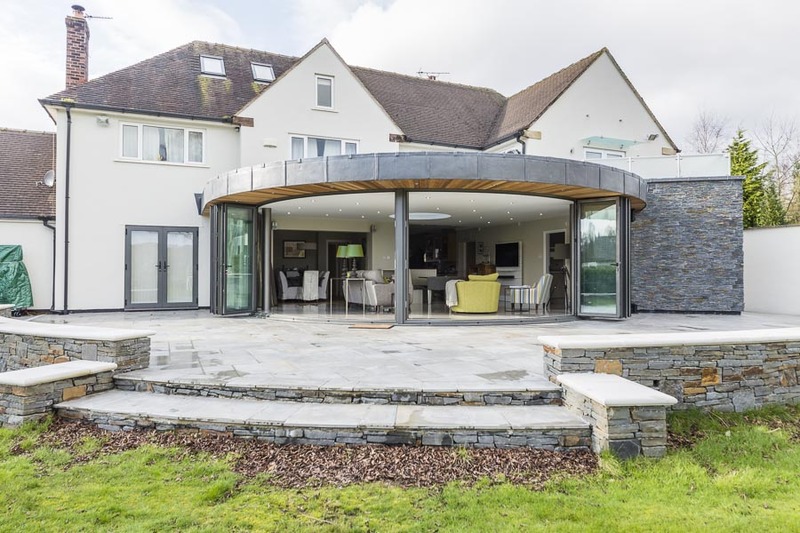 This statement project really has the "wow" factor with its ultra-contemporary structure, sophisticated use of materials, stunning interior design and modern landscaping. 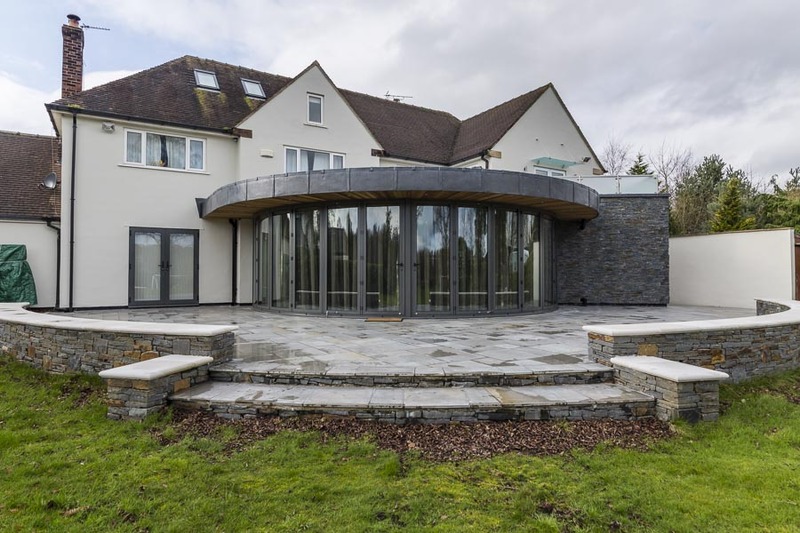 The main features are a 13m, curved, folding sliding door system, a feature slate wall, 2.4m circular roof light and extensive landscaping with a feature waterfall. 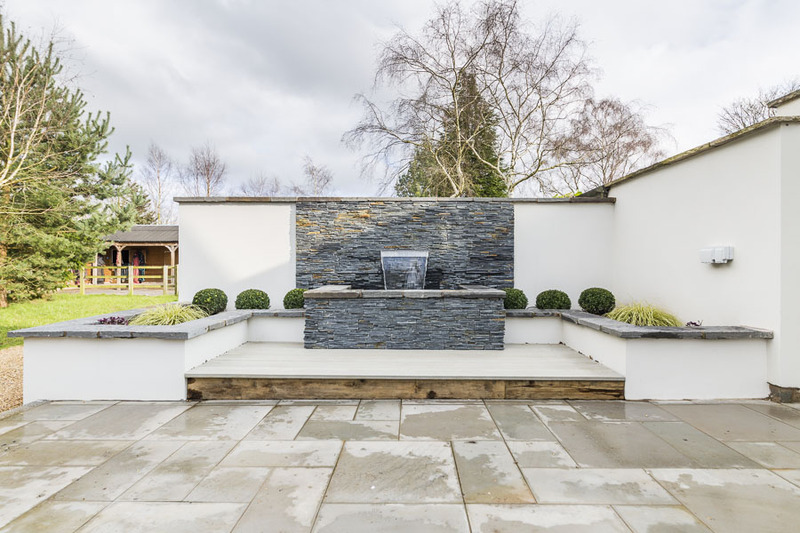 The extension provided a larger kitchen / diner, utility room, downstairs cloakroom and an extra open plan family area with a large outside living space. 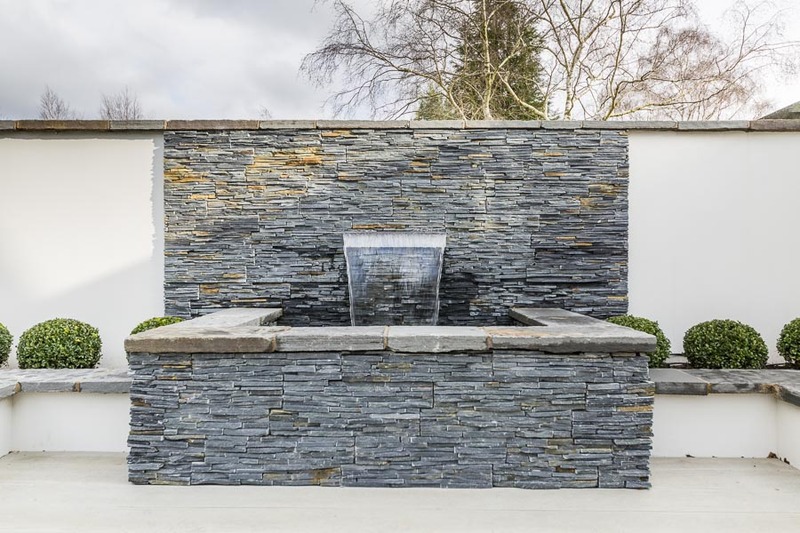 This interesting and beautiful, grade II listed former school house has been extensively re-modelled and extended to provide a contemporary, open plan, family home. 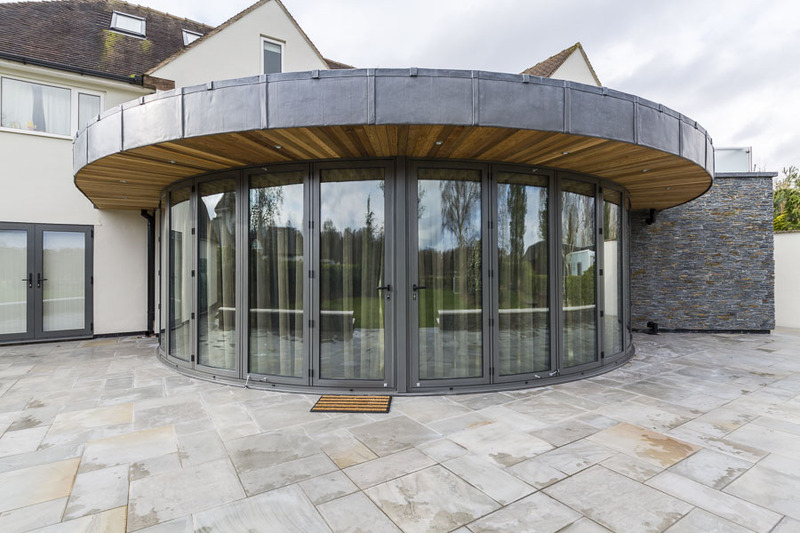 The extension features a fully opening, corner-less, folding door system that opens up onto a new patio area. The downstairs interior has been opened up to provide an up-to-date kitchen and living space, with under floor heated, polished concrete floors throughout and glazed galleried viewing areas above. 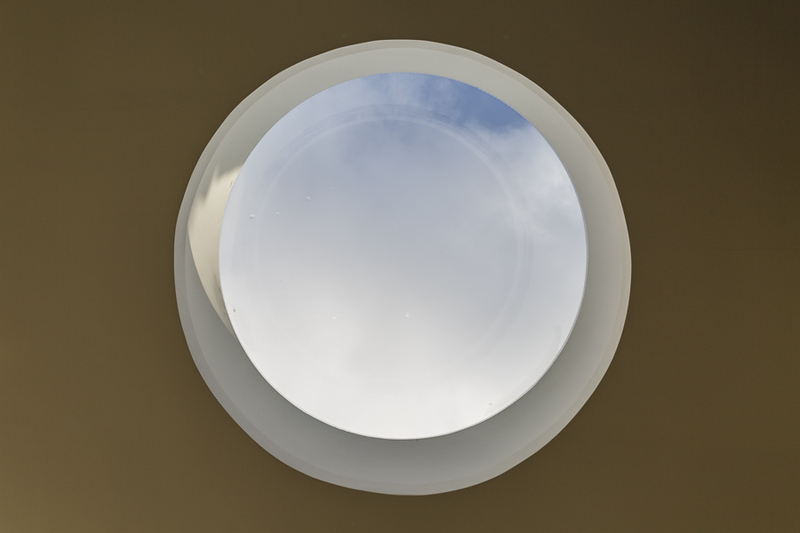 An existing swimming pool was repaired and refurbished, and period features have been retained and enhanced throughout. 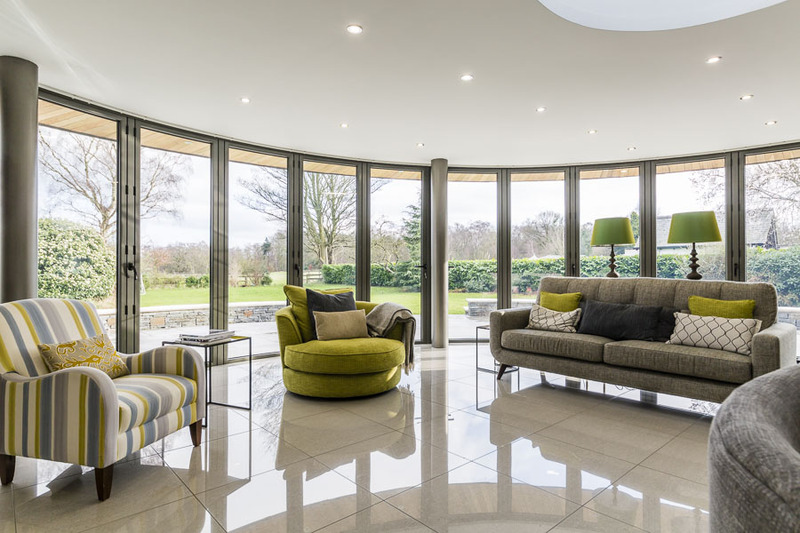 In sensitive contrast, ultra-modern smart home and state of the art audio visual systems have been installed. 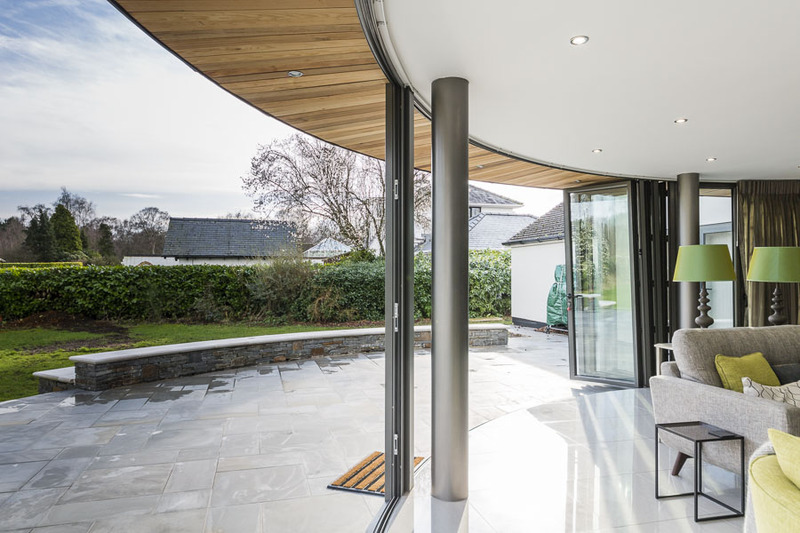 “As an Architects practice, we are always seeking good building contractors. 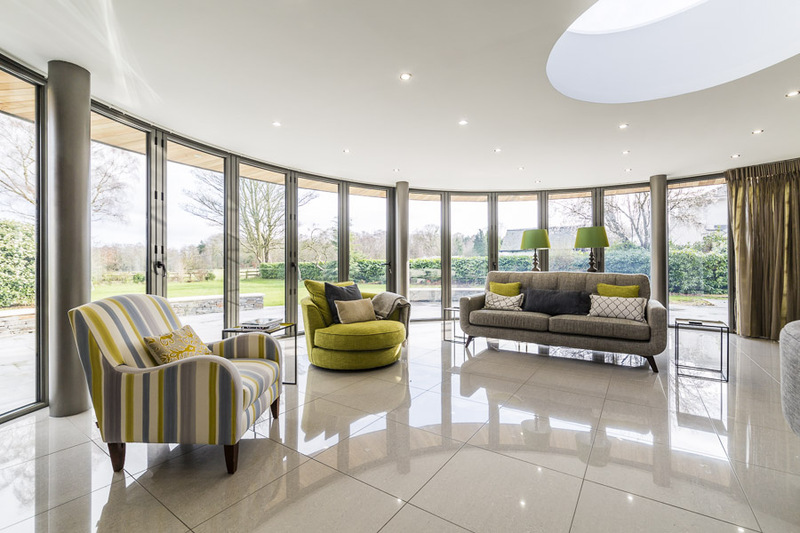 It is rare to find such a personable building contractor who is also highly professional. 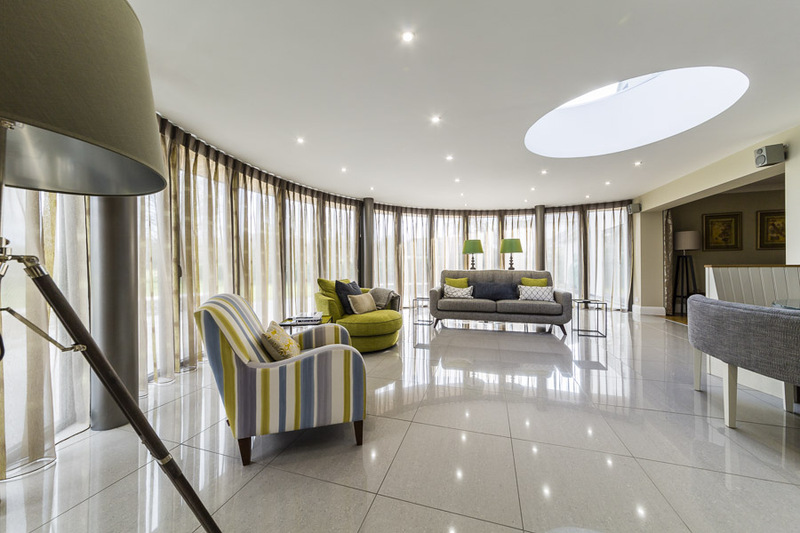 Our project involved the refurbishment and alteration of a residential property, which was a Grade 2 listed building. 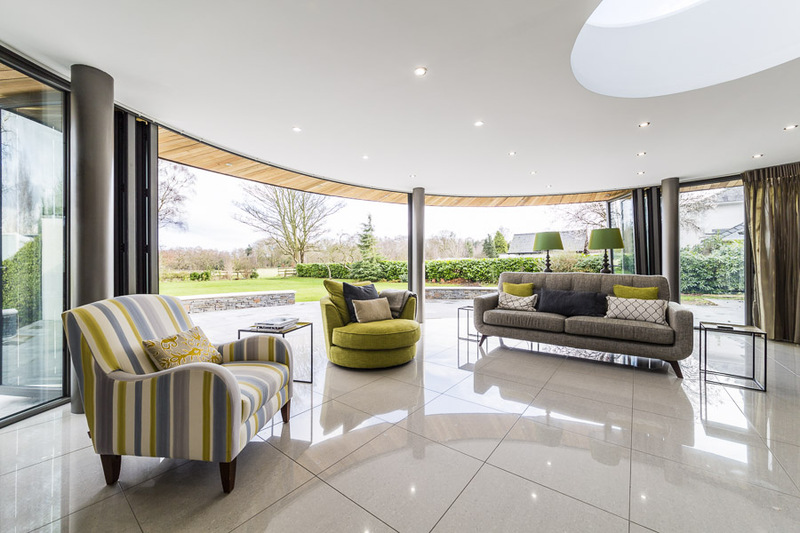 Our aim was to provide a luxurious open plan living space with crisp, modern finishes set within the traditional Victorian Gothic style former school house. 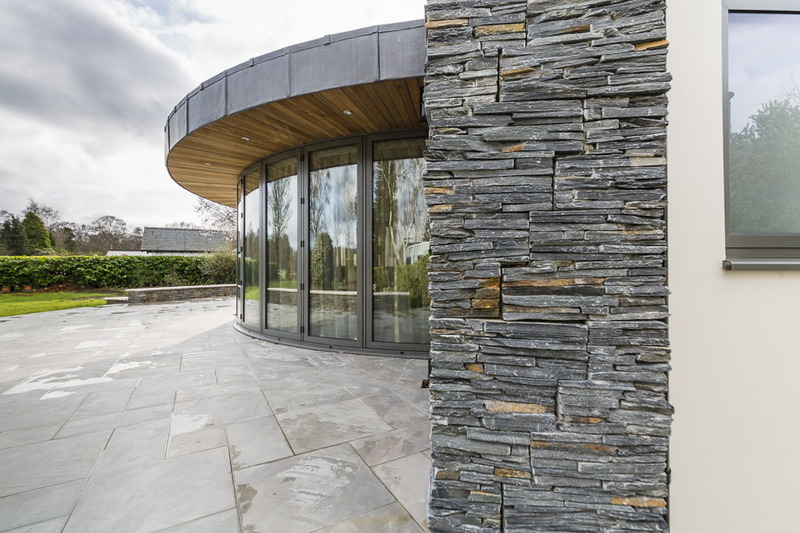 This aim was definitely achieved and was made much easier by working with a building contractor such as AJ Field Developments.